In the land of the Pharaohs, where Ancient Egypt is the most powerful force in the world, the balance of power between good and evil is under threat.Dark forces have kidnapped the beautiful High Priestess Iset and they plan to overthrow the Pharaohs with the help of a mysterious artefact and the power of Ra - The Sun God! 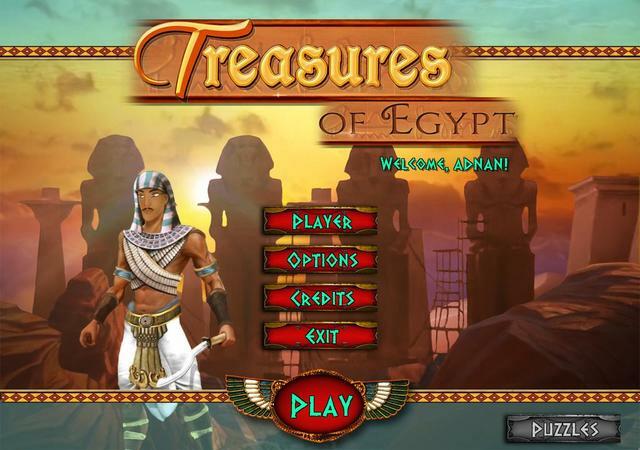 As the Pharaoh’s guard, embark on a dangerous and perilous quest to rescue the Priestess. Journey across Egypt, amongst the pyramids and temples!Packed with unique bonuses, glorious gems and 100 levels of pure jewel matching fun, Treasures of Egypt is more stunning than Cleopatra and more dangerous than an Egyptian Curse!